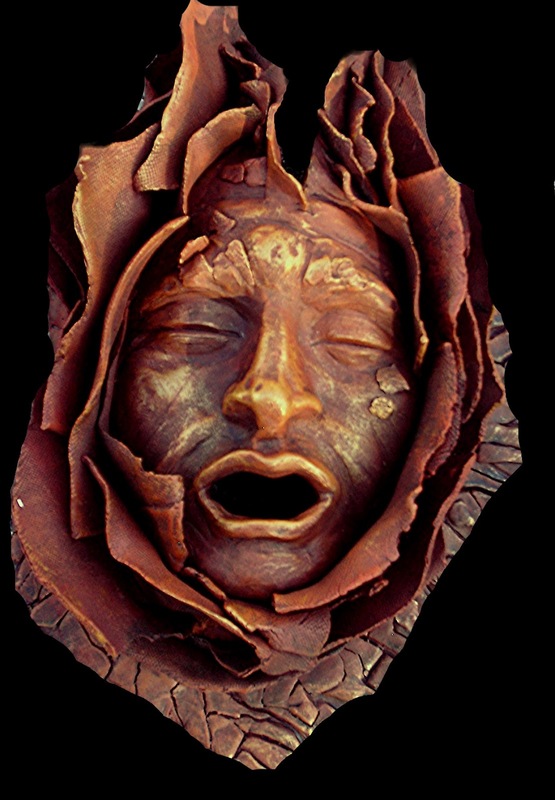 Since I'm neck high again in mythology as I work on masks, I felt like re-introducing one of my favorite sites, Kathleen Jenks "MYTHING LINKS"
site. 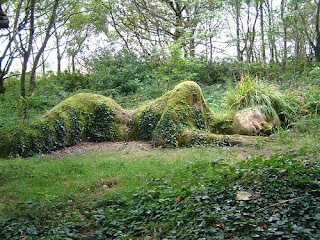 And here are a few more links to Mythology sites I've enjoyed. "Our challenge is to bring the Goddess back to life, to envision, create, and inhabit the re-membered living body of the Earth." And just as the false assumption that we are not connected to the Earth has led to the ecological crisis, so the equally false assumption that we are not connected to each other has led to our social crisis. I can't resist some of the free offerings on the Web. This one is www.slideshare.net, a free service that allows you to post power point presentations to the Web (it looks best if you make it "full screen") - so my experiment here is to post the presentation that I gave last year at the Conference at the Claremont School of Theology on Spider Woman. We're weavers all - so may we rub a bit of Spider Web into the palms of our hands in 2012! Soundings of the Planet? Gaia's Voice? My friend Fahrusha gave me permission to reproduce the fascinating article she recently posted on her Blog about the strange phenomena of rhythmic sounds heard in different parts of the world, which she suggests could "Gaia's Voice". Although there have been quite few "copy cat" fakes since the video from Kiev was posted, there seems to be fairly good evidence that the video below is genuine. 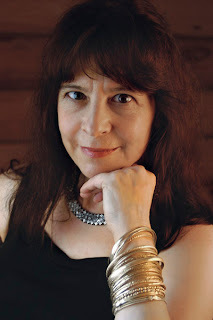 My thanks to Fahrusha, who is a noted psychic in NYC, for her article below and her blog. On August 23, 2011 between 12:30 and 1:00 p.m. I was traveling on a ferryboat from Fire Island N.Y. to Long Island N.Y. after a too short holiday. There was a small girl about four years old who was also on the boat with a group of relatives. We were both riding on the open top level of the ferry. Towards the end of the ride I was gazing at the shore in anticipation when the level of the Earth seemed to shift. The sea was very calm. The child noticed it too and pointed and cried out to her fellow travellers who had not seen it. I mentioned it to my companion with a bit of anxiety but he hadn’t noticed it either. Soon I was in a car driving west toward Manhattan. The event on the ferry probably would have passed totally from memory had it not been for the news I heard on the radio when I returned to the car after lunch: THERE HAD BEEN AN EARTHQUAKE IN NYC!!! Totally surprising, and as it turned out the actual epicenter of the quake was in Virginia, but it was clearly felt in New York City. The visual anomaly seen by myself and the child had been approximately an hour before the earthquake struck. Was there any connection? I do not know. On Monday, February 02, 2009 at 10:34:19 PM and Tuesday, February 03, 2009 at 03:34:19 two earthquakes were felt just to the south of the location where I had been. I was not present for either of them but was told by several persons who were, that the sound was like that of a large truck that had been dropped from a great height. Recently I have become aware of the mysterious sounds which a variety of people from many places around the world have heard. There are purported recordings of these sounds on YouTube, some of which are probably hoaxed, but I think not all. What I personally think may be happening is related to global warming. As the Earth’s temperature is rising quickly (in geologic terms) perhaps on average a degree a decade, the polar ice caps and many glaciers are melting causing a displacement of water. Simply put, large amounts of water in the form of ice are melting and the water in liquid form is going elsewhere. In the North Arctic/Atlantic region the melting fresh water being dumped into the sea seems to have affected and diverted the Gulf Stream causing Europe to have a record cold winter. With the Himalaya glaciers melting there is abnormal flooding in Pakistan and Bangladesh in the rainy monsoon season. In other places the lack of snow/ice/glaciers are causing the land to rise very slowly and unevenly causing some of these sounds and earthquakes. Water is extraordinarily heavy even when it is only a few feet thick. Think of massive amounts of rock under considerable pressure shifting against one another for perhaps miles on a seam under the surface of the Earth. Granted, this explanation is somewhat simplistic, but generally speaking this is what I believe to be happening. The next mask I want to work on is Pachemama, the name for Mother Earth among indigenous populations of South America. Something really important happened in December of 2010 with the passage of the Law of the Rights of Mother Earth in Bolivia. In Wikipedia's commentary about this remarkable event, the editor notes that "Mother Earth is sacred to indigenous peoples". 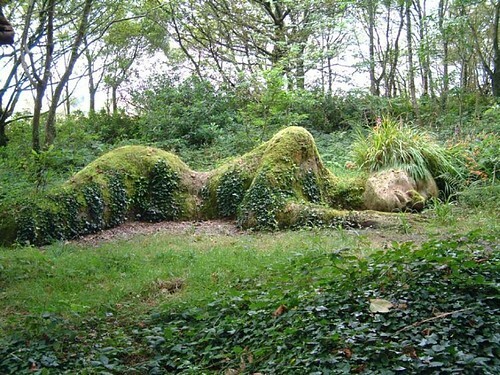 I was saddened to be reminded, again, that in the so-called modern world, Mother Earth is not sacred. As corporate oil interests (from The Pachemama Allience below) negotiate for 5 million acres of rain forest in Ecuador......I am reminded again that to that mind, nothing is sacred. I just have to say it. People talk about 2012 and the end of the Mayan Calendar and the "end of days". Here it is. I'm never able to forget that this is the reality going on all around us. Here I am, living in a large city in Arizona, daily shopping for my mother and myself, driving in and out of malls and grocery stores, stuck in the responsibilities and economic realities as anyone else............and meanwhile, I hear always the myriad voices of Pachemama. As I pull in to parking lots or enjoy the great privilege and luxury of sitting down at a restaurant to choose what I want to eat, people in the highlands of Bolivia are being driven out of ancestral homes by global warming, and the famous snows of Kilamajaro grow less every year, and the blue glaciers of Antarctica fall into the sea, tribal wars intensify in the Sudan as resources become less, another 10 or 20 species becomes extinct ..........and corporate executives in black and white suits sit around expensive tables and discuss cutting down the very lungs of our planet in the Amazonian rain forests. And then they go to lunch. WE are the agents of "2012", not some apocalyptic punishing father god, or, for that matter, a mythic galactic mother ship either. I remember when Al Gore's movie, "An Inconvenient Truth" came out in 2006.........I've seen this arise all my adult life. The shift in consciousness is also not going to come from some magical source - it's going to come from us, is coming from us, as we understand that we are all a part of Gaia, of Pachemama, and of each other. As we re-sanctify the Earth. And what happened in Bolivia is very hopeful from that perspective. Law of the Rights of Mother Earth (Ley de Derechos de la Madre Tierra) is a Bolivian law that was passed by Bolivia's Legislative Assembly in December 2010. This 10 article law was presented by president Evo Morales at the 2010 United Nations Climate Change Conference. 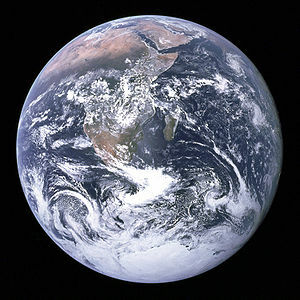 The law defines Mother Earth as "...the dynamic living system formed by the indivisible community of all life systems and living beings whom are interrelated, interdependent, and complementary, which share a common destiny" adding that "Mother Earth is considered sacred in the worldview of Indigenous peoples and nations. "Today, I would describe a priestess as a woman who lives in two worlds at once, who perceives earthly life against the backdrop of a vast, timeless, reality." In my Valentine's day Post, I shared some thoughts about Aphrodite, the Greek Goddess of love. 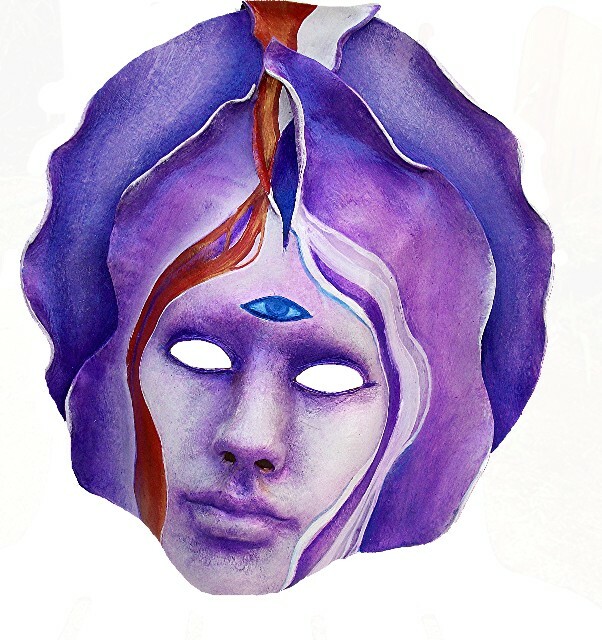 One of the things I found interesting was a correspondence that had been going on with a friend in Portland who is bringing up a ritual with Goddess masks. 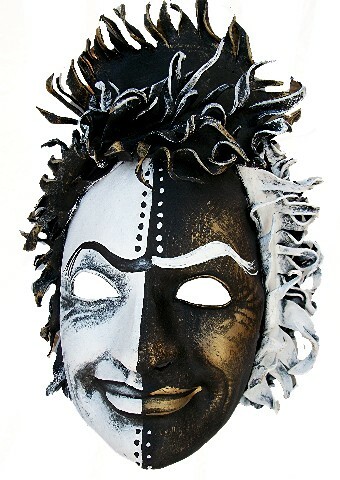 Apparently, she and others in her group are frustrated because they can't seem to get the Aphrodite mask to "cooperate"..........several priestesses have volunteered to dance the mask, and then abruptly withdrawn. Some discussion has passed among us about the deeper meanings of Aphrodite in our contemporary world. I love psychologist and priestess Jalaja Bonheim's book Aphrodite's Daughters, the compassion with which she illuminates this through women's stories. She is also, quite appropriately, the founder of the Institute for Circle Work in Ithaca, New York. "I've been distracted due to the dying of a close friend in the Reclaiming community; she'd been fighting leukemia for 2.5 years and she passed thru the veil last evening. I'd like to dedicate this ritual to her memory. Luanne Blaich, Priestess of Aphrodite (Aug. 29, 1962 - Feb. 14, 2012)." 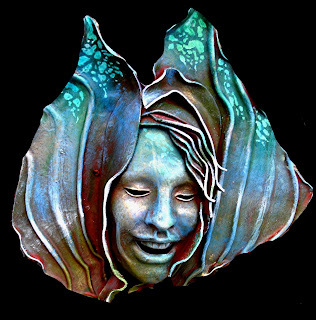 From Reclaiming's bio: "Luanne was a teacher in the Reclaiming Tradition for 7 years - committed to radical sanity, ecstatic devotion to the Goddess, and living in the Good Reality. 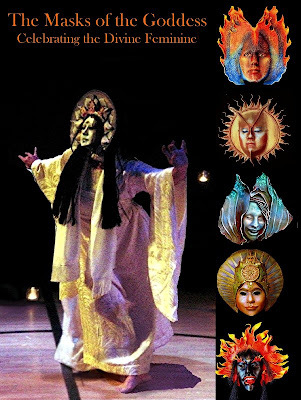 Her magick is informed by a lifetime's study of movement and dance technology as well as drawing on many different shamanistic and magickal traditions. She is a devotee of Aphrodite." There is a circle here I honor. 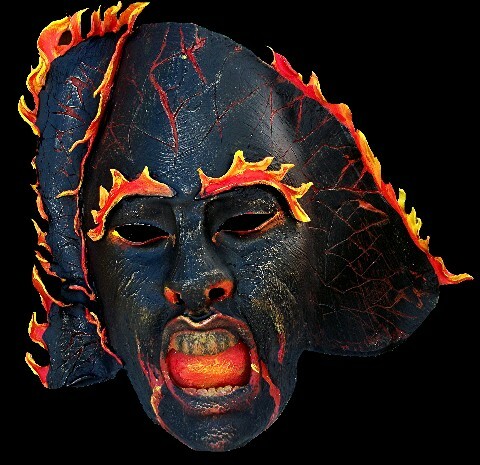 I'm not always sure where these characters come from..............but the masks filling my head are definately elemental. They await storytellers, and story! 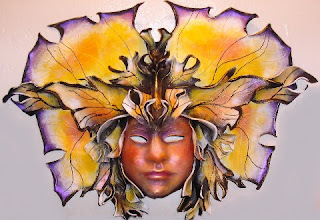 The above mask is a Trickster Goddess - I don't know her name, but she just kept flitting in and out of my imagination until I gave her a face. Now she needs a name, and a voice! This is a Volcano Goddess. Not Pele................I know she seems frightening, but to me, the image is about giving birth, which is what a volcano does, gives birth to new land, to new life, the substance of the continents coming forth from the hot core of the earth. The land is born in fire. This mask I call "The Lady of Avalon", and is a meditation for me upon my experiences there, in the place of the ancient sacred springs, the Red Spring and the White Spring. More on that later.........feels good to be in the studio, and more good news, I'm 1/3 of the way to achieving my funding with my proposal! 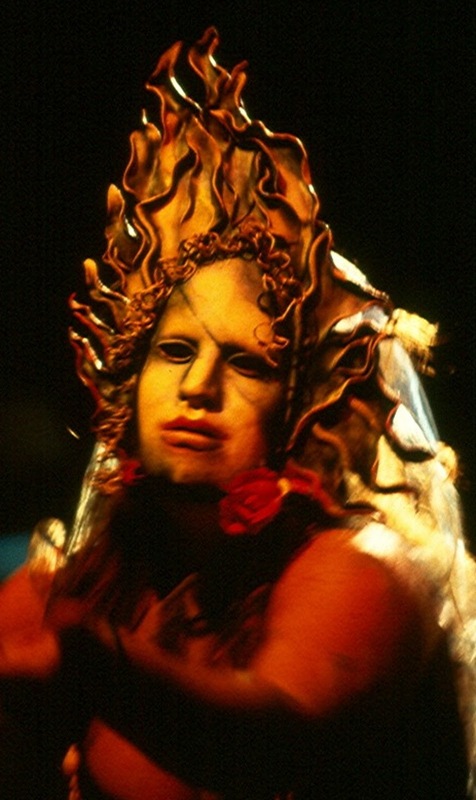 Proposal for a Community Arts Project to be Funded with "Kickstarter"
Dance me to the end of love "
A friend in Portland is facilitating a ritual performance with masks, and I was a bit amused to learn that the mask of Aphrodite had been chosen by 3 women to invoke, and then each had withdrawn. In my experience, one does not aspect a Goddess lightly! 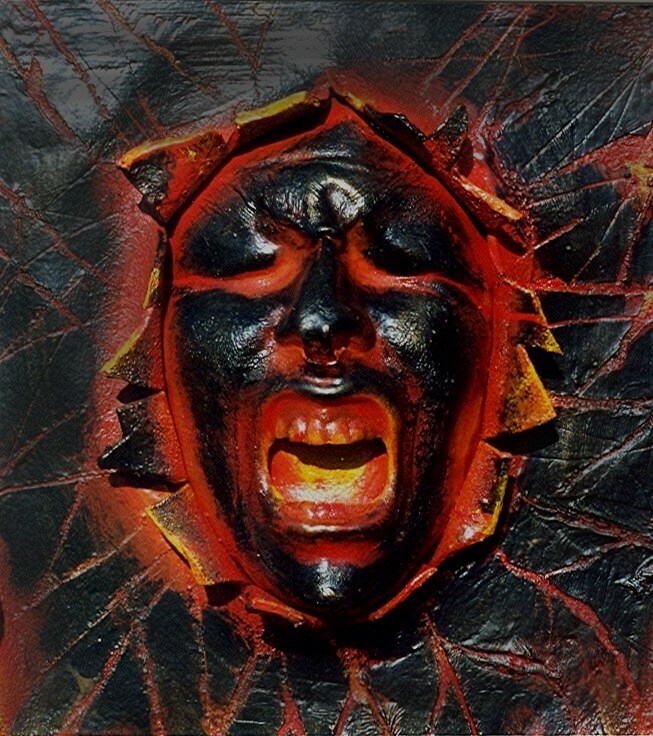 When I last heard, they were still seeking a priestess to dance the mask. 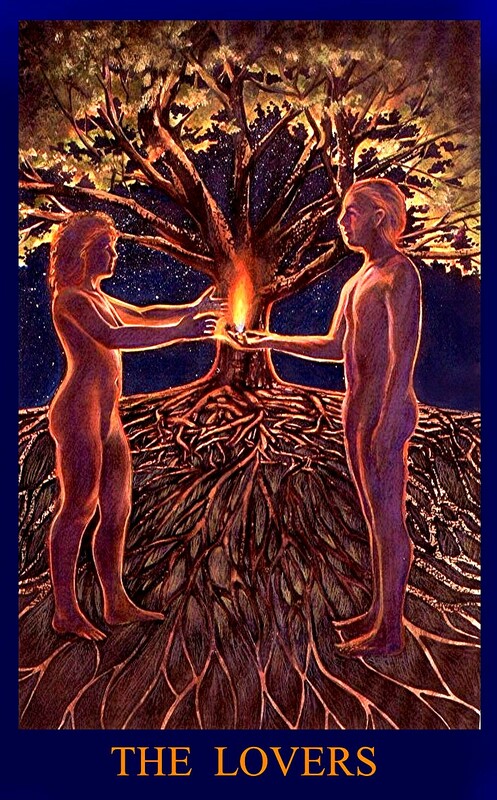 I think invoking the energies of Aphrodite especially is no small task! As I write I remember a performance in 2001 in which the mask was danced by a beautiful woman with black silk gloves, to the music of "Dance Me To The End Of Love". 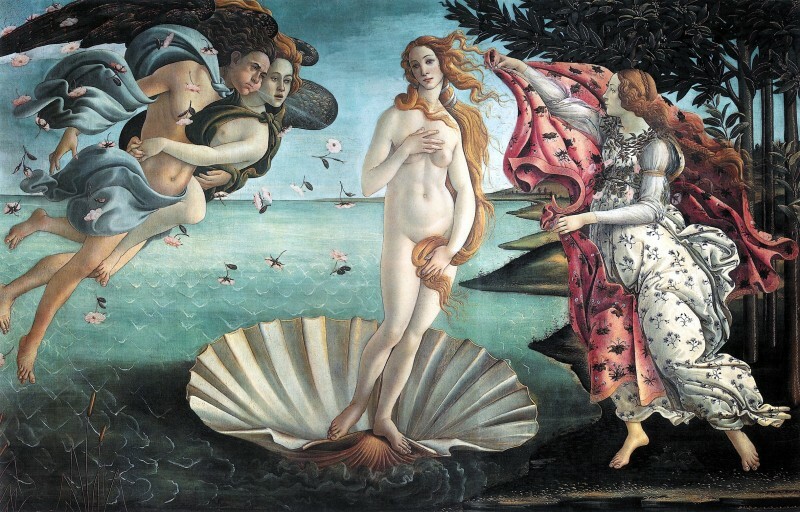 Aphrodite was "born from the sea", and without writing about the many sources of the mythic Aphrodite, it seems fitting that the Goddess of love should have her power and source in the vast depths of the ocean. I also have to say that, considering the blog entry that preceeds this one, I believe Aphrodite........Eros.........is very wounded in our world, and I don't need to go very far to demonstrate my claim. Allow me below to introduce one of my personal Heroines, Jalaja Bonheim, a psychologist, temple dancer, and creator of the Institute for Circle Work in Ithaca, New York who has devoted much of her life to healing that wound. She is the author of Aphrodite's Daughters: Women's Sexual Stories and the Journey of the Soul. After spending her childhood in Austria and Germany, Jalaja studied classical temple dance in India before coming to the United States in 1982. She is the author of three other books as well, which were inspired by her passion for integrating sexuality and spirituality in our world, and empowering women. "I think that every woman should have the opportunity, at some point in her life, to set down her sexual baggage among people who respect and support her, and to unpack it with them. Our isolation has reinforced the assumption that nobody shares our feelings, or cares about our story, or wants to know. But our individual baggage is never just ours alone. Rather it belongs to the collective. Other women have their own piece to carry. The time has come to speak of what we know. In the Temple we now sit in silence, a circle of priestesses. One by one, each of us has stepped forward to make her offering. Each one has given her gift, revealing through her story a beauty that made us catch our breath, a courage that renewed our own. Around us we sense the spirits of many others - mothers and grandmothers, lovers and husbands, teachers and guides, the spirits of the ancestors and the spirits of those who are yet to come." and those who might follow. Let us not talk of past lives. just let me make for you an ocean. If you think medievil thinking is a thing of the past, think again. As we progress into a future of massive over-population, diminishing resources, and global warming, the wise patriachs have a solution: let's keep girls pregnant, barefoot, ignorant and in their place, as "He" supposedly ordains in the Bible. 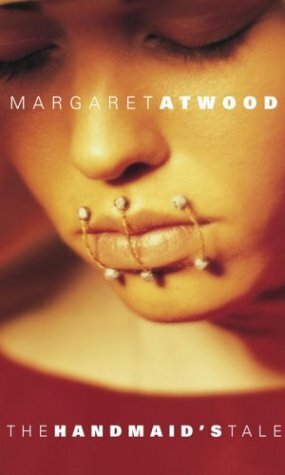 Remember Margaret Atwood's The Handmaid's Tale? The right-wing has officially gone off the rails. Some have even compared Obama to Hitler - why? Because the administration approved a rule mandating insurance coverage of birth control.Now Congress is saying they're going to overturn the mandate. "Pro-choice" used to mean abortion. Now it is also apparently used to mean people who advocate birth control and women's rights to control their bodies. According to NARAL since the beginning of the 112th Congress the anti-choice majority in the U.S. House of Representatives has consistently been unleashing legislation attacking women's right to chose contraception. They tried to eliminate funding for birth control and cancer screening at Planned Parenthood clinics nationally. They have passed legislation that would allow hospitals to deny women emergency abortion care, even if it means she will die without it. If this was happening to people of color, there would be a huge outcry. But because it's an issue of sexual control and discrimination, instead of racist, few take the time to notice. I find this, and the very idea of government determining the availability of birth control........scary. This pushes the envelope towards theocracy, a theocracy of the religious right that, ironically, also reacts violently to any suggestion of "socialism" and a "welfare state". It seems that girls may not protect themselves from becoming pregnant, but after conception, they and their children are on their own.....punished, just like the good days, for the great sin of not having been "chaste". I know from first hand experience what it's like to be a very young girl, pregnant, and alone. I have great compassion as well for children born to children themselves. I know how hard women have fought for the right to vote, to work, to own property, and to control their own bodies, rights only available within the relatively recent past. Remember: It wasn't until the end of the 19th century that a woman could own property, or control her own assets. Black men were given the right to vote in 1870. But women (of any color) were not allowed the right to vote until 1920, 50 years later! Until very recently, birth control was still illegal in some states, including Connecticut ( in 1965, the Supreme Court ruled in the case Griswold v. Connecticut that prohibiting the use of contraceptives violated the "right to marital privacy"). In 1972, the case Eisenstadt v. Baird expanded the right to possess and use contraceptives to unmarried couples. 1972! In our proposal Macha wants masks that are elemental, allowing "voice" to goddesses that have their origins in places...the land, the waters, the forests - the true wellsprings of myth. To our ancestors, as to indigenous cultures today that have been able to preserve their traditions like the Aborigines of Australia, or the Hopi in Arizona, the entire world was alive and conversant. One way the "mythic conversation" occurred was by personifying the spirits of place. As Macha (and I) believe, the experience of communing with the elemental powers is grounded and woven into myth, but the experience is real. The Pythoness or Oracle drew her visions from the heightened energies, the "mind" of sacred Delphi. Hawaiians tell traditional stories about Pele, the Goddess of Kilauea - but many modern people, visiting the great volcano, have come away with personal stories of transformation, wonder, and mystery. We feel the numinous power of special places, the "anima", be it a life giving spring, a cave with oracular potency, or the generous "devas" that infuse an orchard with fruitfulness. How many rivers bear the names of Goddesses, for example the river Avon in England, derived from the Celtic goddess Abnoba? How many mountains are called a Goddess, or a God? 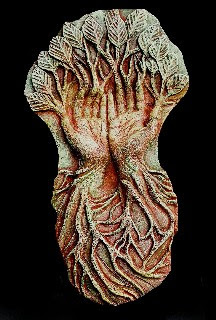 How, in other words, do we "talk with the Earth", and what might the many voices of Gaia have to say, voices garnered from sacred places throughout his/herstory? 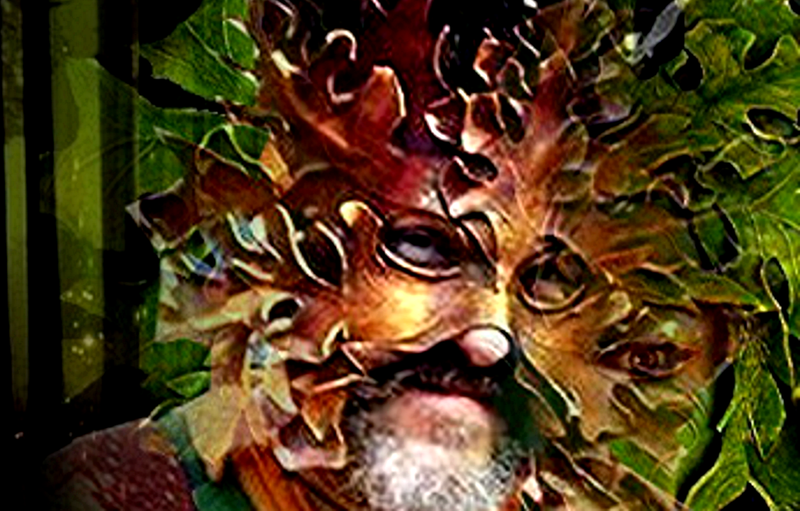 Myths (and masks) are portals that can open possibilities of "communion with the invisible realms", because myths (like masks) open windows into the country of the mythic imagination. In other words, giving a "face", a "voice", and personae to the elemental powers isn't just about creating fairy tales. It's about finding a human face for the ineffable, so the conversation, generations long, can be more readily translated into human language. Does that make sense? I've always loved the notion of "numina", the local deities of early Rome. Pomona is one such Roman goddess who derived from simple shrines placed near orchards, revered as the lady who helped the apples and grapes to grow. 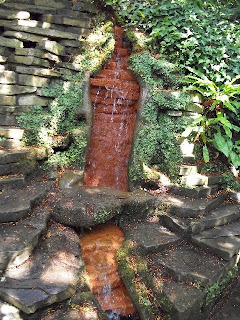 When I made my pilgrimage to Glastonbury this past summer I visited again and again the sacred springs - the White Spring (which is in an underground chamber, and they wouldn't let me publish the photos I took), and the Red Spring (the Chalice Well). I profoundly felt the power of these holy springs, as well as the Tor, which is (I believe) the source of the two springs. People have been coming to Glastonbury for millenia on pilgrimage, the site of Avalon, and Arthurian lore, and the famous Glastonbury Abbey. One of the first things I encountered in "Avalon" were many works of art devoted to the "Lady of the Lake", and everywhere, violet, amethyst, and purple. 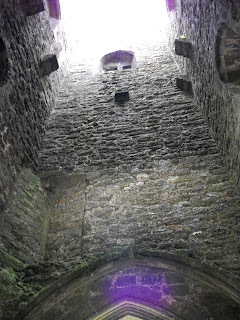 Here's a photo I took inside the Tor - notice the "purple haze" that the camera consistently recorded in my photos there. "That two springs, one red and one white, should rise together and flow out from one of the most remarkable hills in the British Isles strikes a profound chord in the imagination. In esoteric tradition, the Tor as world centre and axis mundi provides the means of passage between the mundane world and the spiritual realms. In such a place, the veils separating ordinary reality from spiritual planes can thin or dissolve, allowing those who are receptive to receive the guidance and blessings of the otherworld. The guardian spirits of the Avalonian soul-portal invite all those who are drawn here to pass through the symbolic gateway that is the Tor. The interplay between the subtle energies of the Red and White Springs is a vital key to understanding the impact of this experience upon the individual soul-body." The monastery in Glastonbury gradually drained the lake and swamplands around the Tor with a system of irrigation channels to create farmland, but in earlier times the Tor must have been visible as a mysterious island in the mists, the "isle of Avalon". Today the deep springs still pour from the slopes of that island - the iron-rich red waters of Chalice Well which arise from beneath Chalice Hill and flow out through the Chalice Well gardens; and the waters of the adjacent White Spring, arising from beneath Glastonbury Tor. 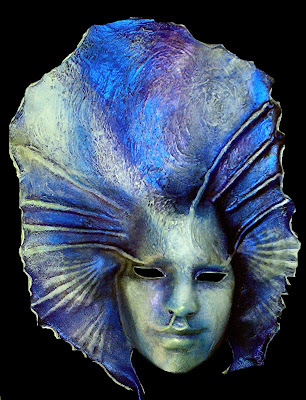 So, today I'm working on a mask dedicated to "the Lady of the Springs of Avalon". Although there is so much lore and mythological legacy connected with this ancient place of pilgrimage, I'm going to just go with my own intuitive vision, and hope I produce a mask that will, like the ever-flowing waters of Avalon, be used to dance new stories about this sacred place into the world. It's got nothing to do with masks or my Goddess project (although a trickster mask, black and white, seems to be evolving on the worktable. Wonder what she has to say?) but I felt like sharing this fascinating animated video in which acclaimed journalist, author and political activist Barbara Ehrenreich explores the "darker side of positive thinking", with an emphasis upon the corporate world. At the movies recently Coca Cola announced some kind of program whereby they're going to save the polar bears, and we saw some happy, singing polar bears leaning against an iceberg drinking Coca Cola. Was I the only one stunned by the hypocrisy? Coca Cola addiction has produced millions of diabetics.............and is it really so easy to forget that the reason polar bears are becoming extinct is because our civilization, including the factories that produce Coca Cola, is changing our climate? Wouldn't it be better for children (and adults) to at least experience the truth, rather than soothing images of dancing polar bears? I am not really a "positive" person by nature, and often have to work very hard to shift my consciousness away from habitual dark tracks. Sometimes, I don't want to. A good depression can inform one of authentic needs, a tantrum releases blocked or stagnant energy, getting pissed off is sometimes not only appropriate but absolutely necessary. Don't get me wrong..........I absolutely agree with the necessity for positive thinking and affirmation......but not at the expense of empathy and reality. Sometimes the soul needs a wailing wall, sometimes spirit needs to ferment and incubate in its depressions, and sometimes the heart needs to tell its dark story in order to heal. Sometimes we need to face the truth, which gives us the power to be present. Katherine Josten, for almost 20 years now, has been creating peace through the cultural exchange of art. In 2004, the "Masks of the Goddess" were used in a performance that were part of the Global Art Project (Katherine also danced the title role) and an exchange was made with a wonderful dance group in Cameroon, Africa. Katherine is, truly, a local Heroine. Anyone can participate - adults and children, individuals and groups. In March/April 2012, participants will create, exhibit and exchange art expressing their ideas of a peaceful global community - resulting in thousands of messages of peace and goodwill simultaneously encircling the Earth during the week of April 23-30. April 1-22: Exhibit/perform your art locally. April 23-30: Exchange your art with your Global Art Project partner in the worldwide exchange. Ongoing after April: Community exhibitions of art received. Since its beginning in 1993, the Global Art Project for Peace has linked 100,000 participants on seven continents! Nominated for a UNESCO Peace Prize, the Project connects people of diverse cultural backgrounds, providing exposure to new ideas and connection to the Whole. 200 Regional Coordinators are helping to organize Global Art Project activities in their area of the world. Participating groups include artist cooperatives, performance groups, churches, corporations, community groups, hospitals, women's clubs, youth and senior programs, and YMCAs. Schools in locations around the world are participating and involving thousands of students from kindergarten through graduate programs. The purpose of the Global Art Project is to joyously create a culture of peace through art. The Project gives participants in local communities an opportunity to join together to create a cooperative global community. It's an opportunity for you to join your energy with others to seed the future with visions of peace. The Global Art Project for Peace is a 501(c)3 non-profit, grass-roots organization. For additional information about the Global Art Project for Peace and how to get involved by participating, volunteering and/or funding the Project, visit www.globalartproject.org, or email us at peace@globalartproject.org.